The interview I had with Judy from Ming Pao Newspaper was published on Monday. 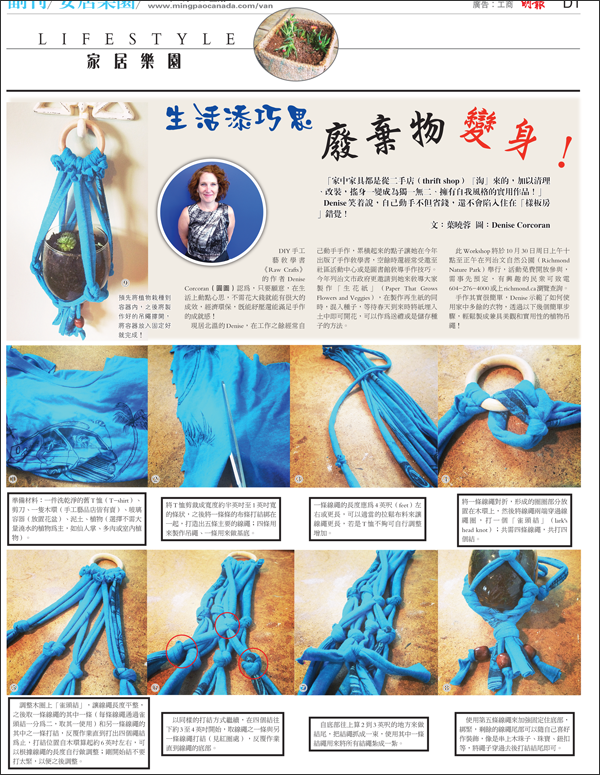 The print version includes a profile pic of me and visuals for all the steps of the t-shirt macrame planter DIY she featured. So kewl! I'm thrilled that Judy contacted me and shared what I do in the lifestyle section of Ming Pao. You can find the online interview at www.mingpaocanada.com. Here's hoping Judy and I connect again for more TBD, upcycling, Ming Pao awesomeness!